As a busy full-time student at BYU, you'll feel right at home in any one of our three bedroom floor plans at Raintree Commons. Known as iconic BYU housing for a reason, we take the stress out of student housing with fully furnished apartments, relaxing balconies and patios, desks for for studying, and a dependable team of in-home appliances. 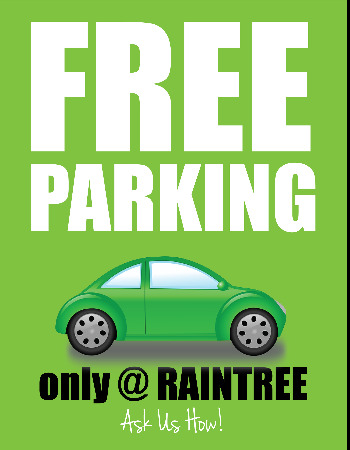 Just four minutes from BYU campus, across the street from football games at LaVell Edwards Stadium, and five minutes from all the inventive local eats and stylish shopping on Center and University, there's something for everyone at Raintree Commons. 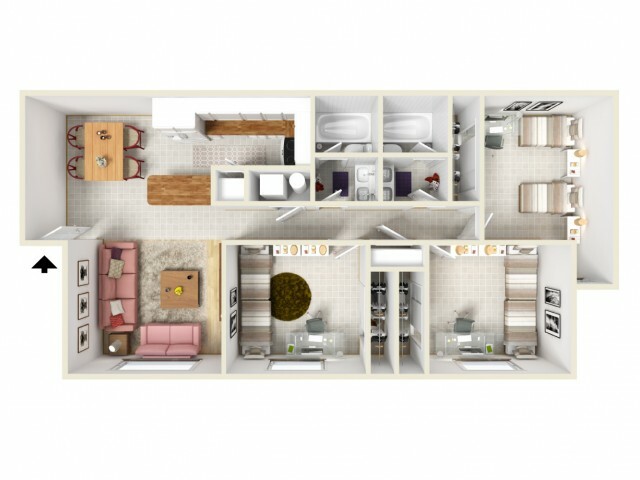 Once you've found the floor plan that fits your everyday life, stop by today to set up an in-depth tour!